On Sunday, March 24th, one of the first important races of the European Circuit took place in the South of France, in the Venice-like canals of Port Grimaud, normally right in time for the first warm days down there. Not so this year, 12°C, heavy rain and strong winds. 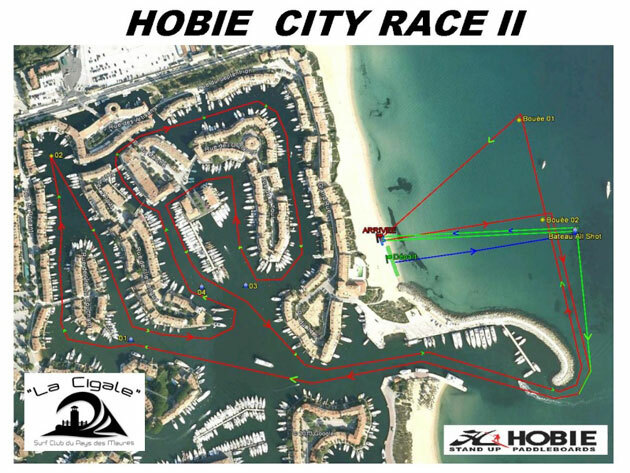 74 paddlers braved the terrible conditions and ventured to the second edition of the Hobie City Race. The planned course for the race was a beach start, then paddling into the Port Grimaud, one lap through the maze, narrow canals with 90 degree turns, ducking under bridges and the likes, then back into the ocean and 3 laps around buoys with running on the beach. A test paddle on Saturday with 30knots of wind quickly showed that even just getting out and turning into right into the Port was close to impossible. And the forecast for Sunday was even stronger wind…..and more rain…. 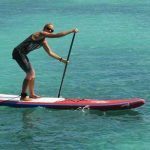 So race director Yannick Pinault, who is also behind the SUP Race CUP St. Maxime made some adjustments to the course, the course started in the Port and it would be 2 laps through the harbour and no part on the beach this time around. The race started with the Juniors, they had to paddle only one lap, but were followed by all the adults, that was a great way to get warm and memorize the complicated course. Antony won for the boys and Chloe for the Girls. 5 minutes after the Junior race, the Adult race started, just about enough time to get rid of the rain jackets and paddle to the start point. The start was chaotic, choppy waters, narrow canals and many riders falling in, Thierry Kostka was one of the rider’s who fell right after start, but made an great come-back and finished 3rd behind Florent Dode and Youngstar Gabriel Bachelet from La Cigale Surfclub, who showed an amazing perfomance, leaving many seasoned paddlers behind. For the women’s, Olivia Piana, just back from Peru’s World Championships with a Silver Medal once more showed she was in amazing form and won the women’s race before Celine Guesdon and Manca Notar. 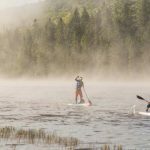 More 2013 SUP Races >> Are you running a SUP race in 2013? We are happy to add it to our event calendar. 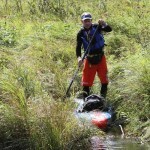 Email us the info and pics to info(at) sup-guide.com! 04/27/2013 (ES) Port Adriano Eurosupa Race, Majorca, Report and Results!